Caitlin joined MHBC in 2017and specilizes in aggregate resouce planning and rural land use planning. She has worked in the private sector since 2013 and has previous work experience with NGO’s, the Region of Waterloo, and the Government of Alberta. Caitlin has coordinated a number of aggregate projects across southern and central Ontario, including Aggregate Resources Act Licence Applications, Site Plan Amendments, Official Plan Amendments, and Zoning By-Law Amendments. She has experience writing and analyzing planning policies, preparing Planning Justification Reports, presenting at Public Meetings and Public Information Session, and participating in Ontario Municipal Board Hearings. 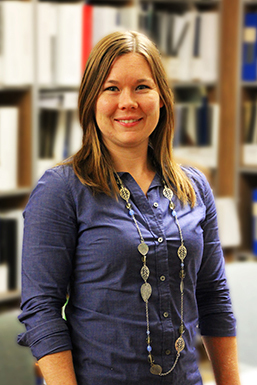 In addition, she has undertaken a number of research projects on aggregate rehabilitation in Ontario. She has worked on a variety of municipal planning projects for private and public sector clients, including consent applications, minor variances, plans of subdivision, land expropriation, and Parks Master Plans. Caitlin received her Honours Bachelor of Environmental Studies in Environment and Resource Studies and her Master’s Degree in Environmental Studies (Planning) from the University of Waterloo. She is a Registered Professional Planner, a full member of the Canadian Institute of Planners, and is qualified by the Ontario Municipal Board as an expert in Land Use Planning.